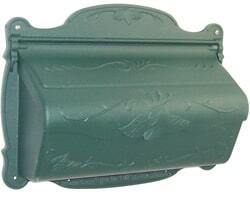 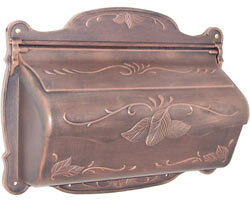 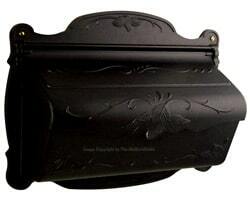 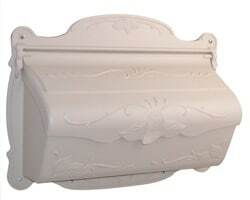 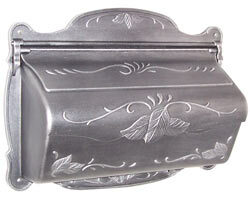 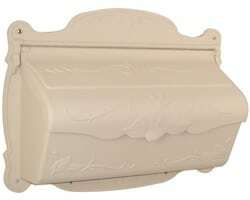 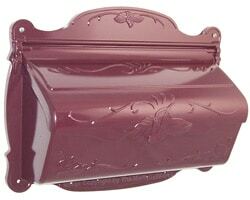 Floral Wall Mount Mailboxes are an upgraded version of the traditional style mailbox. Deep leaf embossed design adds that extra special touch that enhances both urban and rural settings. 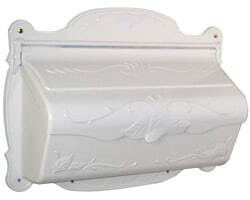 Premium quality wall mount mailboxes are constructed from cast aluminum so they won’t rust. 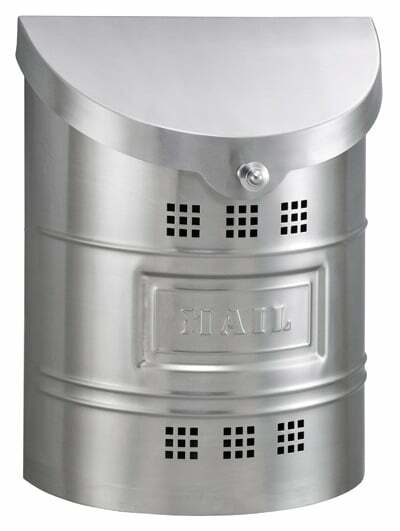 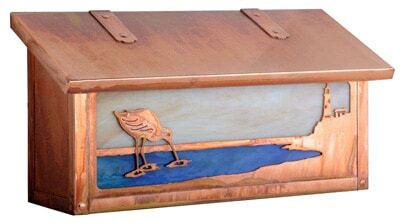 Mail door includes rust proof hinges and a lid that protects mail from the elements. 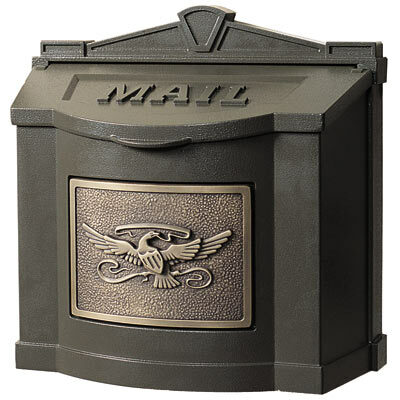 Shown here in verde green, this wall mount mailbox comes in 13 fashionable colors in hand rubbed antique or solid matte finishes. Each piece is powder coated for a chip and fade proof finish. 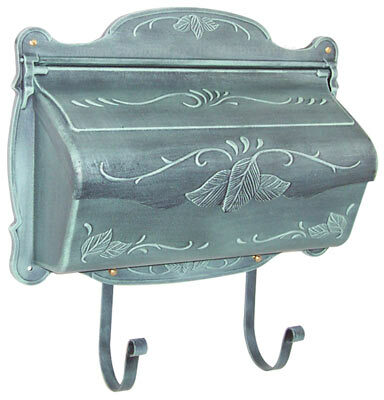 Wall mount mailbox comes with an easy to attach newspaper holder. 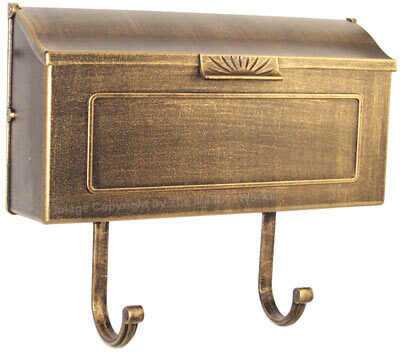 A great looking mailbox at a great value!